Back in March we celebrated my husbands birthday. Being a stay at home mum I have no form of income so I can't spoil my husband as much as I once could or now want to. I think a great advantage of having children is that homemade gifts can be given. Not only does it make presents a lot more personal than simply a gift voucher or item of clothing, but it also results in things to do on rainy days! I came across the Baker Ross craft supply website after seeing them mentioned on Twitter. I had a browse and found some mini canvasses. I didn't know quite what to do with them at first but thought I would buy them anyway and then let inspiration take over. I thought about letting Charles loose with a paintbrush and paint and then handing them to my husband on his birthday. After then realising that it would be a big brown blob I thought some more. I then came up with the plan of having one canvas each for the boys and then free styling with the third one. So, with Harry we painted his foot and printed it onto the canvas. 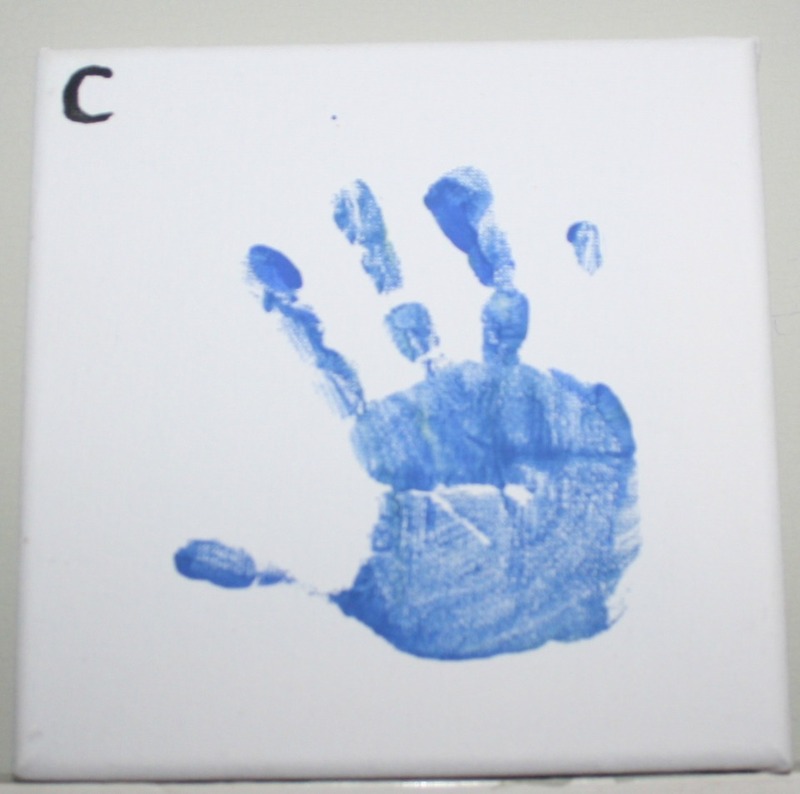 We picked the same colour paint for Charles and painted his hand and again printed it onto the canvas. 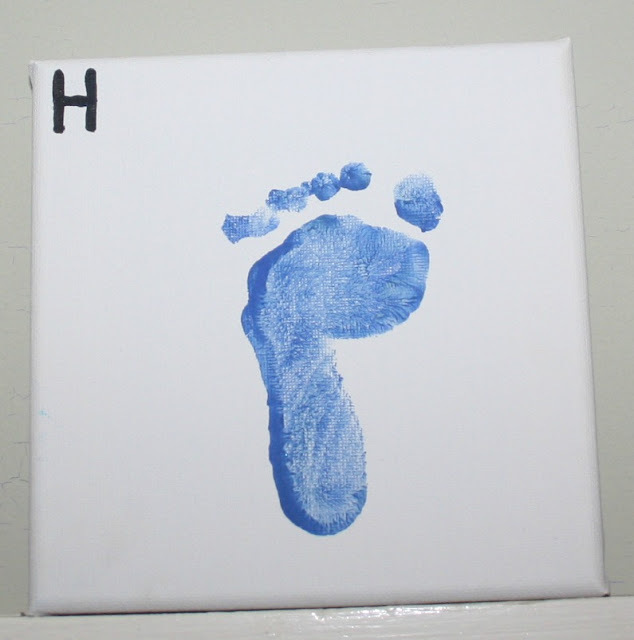 Charles wanted his foot printed too so we did this on the third and then I let him splosh paint around however he liked. Thankfully he kept it quite neat so we could still see his footprint. 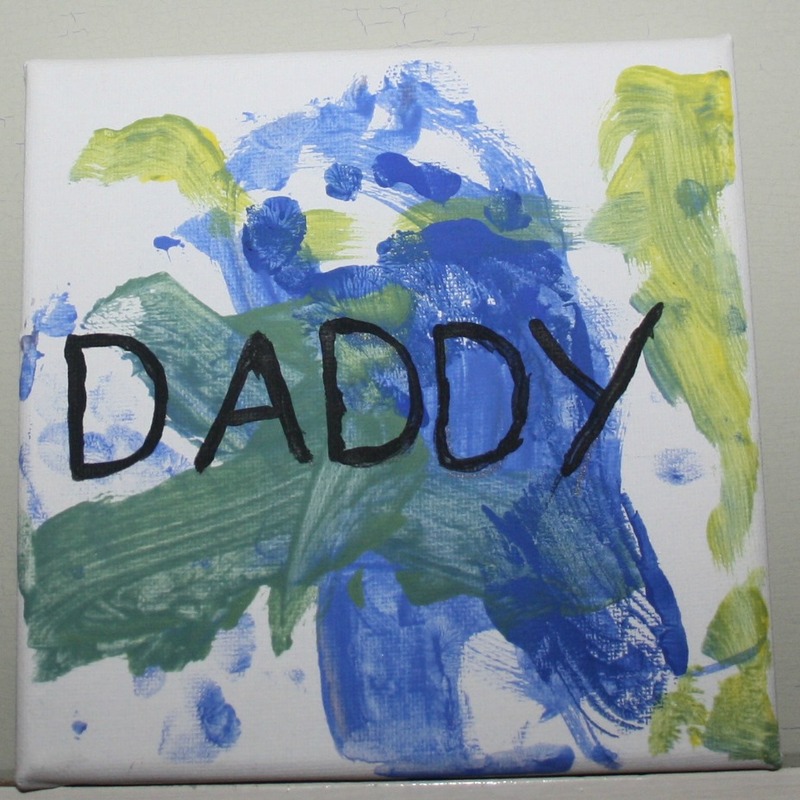 I then wrote 'daddy' across the centre of the freestyle canvas and put the boys first initial on the corner of their own canvas, so daddy knew who's print was who's and for future reference if we were to forget. He was really pleased with his personalised present and they look great balanced on the door frame in our kitchen.